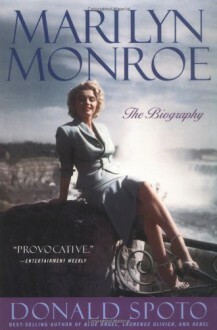 Spoto's biography of Hollywood icon Marilyn Monroe makes use of over 150 interviews and more than 35,000 pages of previously sealed files, including Monroe's diaries, letters, and other personal and revealing documents. The book reveals new details of every aspect of her life, from her guarded childhood, and her relationships with men and marriages, to her mysterious death. Spoto comments on previous books about Marilyn, and puts to rest questions regarding Monroe's connection with the Kennedys.